Guitar • Piano • Voice • Singing • Ukulele • Bass • Drums • Violin • Flute • Saxophone & MORE in Moscow, Idaho! Since 1993 we have helped over a thousand students begin and continue their musical journey. 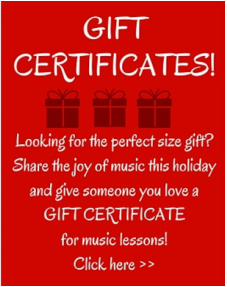 We are the areas leading independent music lesson provider on the Palouse, offering private music lessons for the young and young-at-heart. 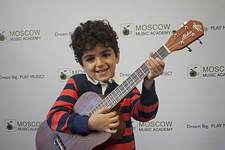 While you are here researching the best music school for you or your child, please consider the benefits of becoming a student at Moscow Music Academy and find out why we are Moscow's popular choice for music lessons. 1. 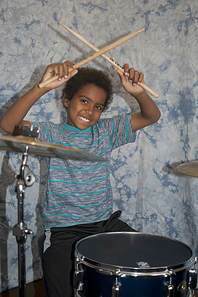 Many Instruments & Lesson Times at one location! 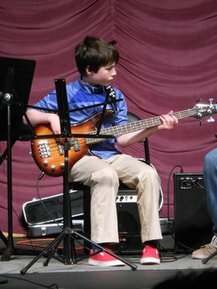 ​You and your family can take guitar, piano, drums, bass, ukulele, recorder, saxophone, flute, violin, ensemble programs, and more! 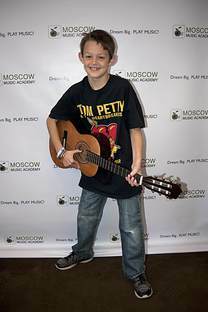 Moscow Music Academy has many instructors, giving you more options for scheduling and musical styles. It's NEVER too late to learn how to play! We welcome beginners and all levels - no matter what your age! ADULTS - click here for more info! Since we are the fastest growing school in the Moscow/Pullman area, we are able to be a 'full service' music school. 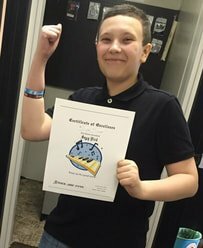 This allows us to offer music lessons as early as 10:00 a.m. and we see many students between the hours of 11 a.m.-2 p.m. If you are a home school ﻿﻿parent, retiree, ﻿﻿working professional, late-start or college student who has a flexible schedule, take advantage of our early morning and lunch time lesson spots! Afternoon and evening music lessons are a popular choice for elementary school students as well as teens, and adults. We will work with you to set up a convenient lesson time. ﻿Technology is a big part of the lesson experience here at Moscow Music Academy. This allows students to have a ﻿modern and engaging lesson using musical educational software, Garageband, Youtube, and more. Feel free to "Bring Your Own Device" to your lesson in addition to your instrument, music book and assignment notebook. We have invested thousands of dollars on our academy to offer you the best in providing a great music lesson experience. Every May and December our students have the option of performing in our recitals and showcases. Students are not required to perform, but many choose to. Every parent just wants to know how their child is doing and if they are really progressing. 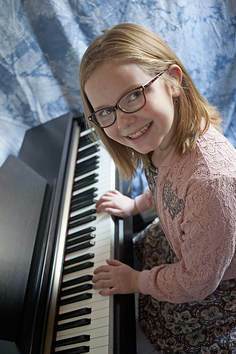 The best way for a parent to understand if their investment in music lessons is really worth it is to have their child participate in a recital. Do other schools offer trophies and certificates? A few. But none of them inspire their students with smiling faces by giving them full color, really cool “Musical Ladder” wristbands that they can show off to their friends. The Musical Ladder® is our unique method of music education that you can only get here. 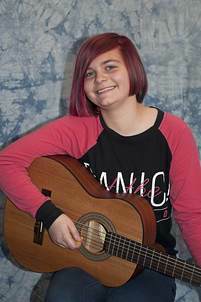 We are the only music lessons provider that offers a picture day for their students by hosting a free picture day with a professional photographer! We want to celebrate your music and share that memory through pictures. Adults are welcome too! Students can bring their instruments to the photo shoot and wear whatever they like. We are family owned and operated and live in the neighborhood. We give back to the community in the form of donations to community events, partnerships. We also give back to our students. 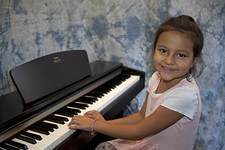 Families attend our music lessons from the following communities and more: Moscow, Potlatch, Troy, Deary, Juliaetta, Genesee, Lewiston, ID as well as Pullman, Palouse and Garfield, WA. Missed a lesson? Out of town? Need to miss your lesson because you are sick, or vacation? No problem. Just sign up for our weekend classes. They never expire, and you can come when it's convenient for you. Simply call the office or sign up for a free group make-up class. That’s right, free! Nationally Recognized 2014, 2015, 2016, 2017, 2018, AND 2019 for excellence in music education! Take lessons with an established lesson provider you can trust! Guitar • Piano • Voice • Singing • Ukulele • Bass Guitar • Drums • Violin and MORE in Moscow, ID. 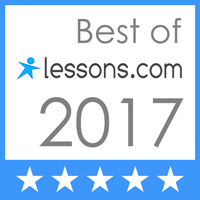 Moscow Music Academy is a leading Moscow, Idaho music lesson provider on TryMusicLessons.com!